If you’re looking for an excuse to up your whipped cream intake (or want to practice making whipped cream in a cocktail tin), here are seven drinks for grown-ups that could use some whipped cream. Whipped cream is a staple garnish on kids’ drinks like milk shakes and hot chocolate. But unless your typical morning coffee order ends with the suffix –ino, you probably don’t get much of the stuff as an adult. 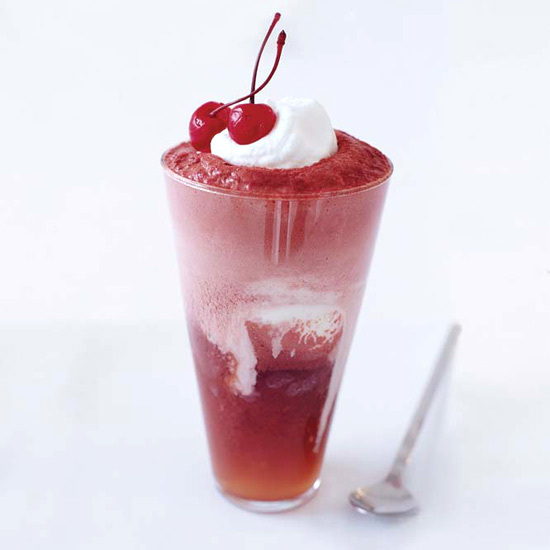 This float uses vanilla ice cream blended with bourbon and high-quality black cherry soda. It’s exactly what it sounds like—creamy hot chocolate mixed with rich dark rum. This coffee cocktail is spiked with Kahlua and rum. No bonfire needed for this boozy, liquid version of the beloved kids’ treat. This White Russian variation uses rum instead of vodka. Plus, the cream is whipped instead of stirred into the cocktail. A dollop of whipped cream softens grappa’s bite in this citrusy cocktail. This blended, alcoholic shake is the perfect dessert cocktail.